Your home should feel warm, comfortable, and inviting. It should feel safe and welcoming. And it shouldn’t be defined by mysterious stains on the carpet. That’s the philosophy that drives Stagecoach Steam Cleaning, your local carpet cleaning and interior care expert! We’re here to bring out the finest in your exterior… starting from the bottom up. You have plenty on your plate. And with an ever-growing list of home maintenance projects, other to-do’s can fall to the wayside. Fair pricing and top notch service: Superior quality doesn’t have to drain your bank account. We always structure our rates competitively. Complete customer satisfaction: If a customer isn’t 100% happy with their service, we still have work ahead of us. We care about your interior. But more than anything, we care about you. 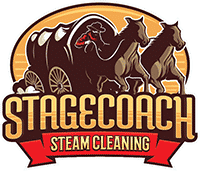 When you choose Stagecoach Steam Clean, you’re getting the quality your home needs to be supremely comfortable, to feel inviting, and to maintain property value. It’s the perfect blend - and when we apply it to your property, the result will completely transform the place you call home! Jerry came on board as my sole carpet cleaner with my commercial cleaning company approximately two years ago. His attention to detail and chemical knowledge is exemplary. He has serviced numerous banks, office suites and medical facilities. We have had a long standing professional relationship built on trust and would highly recommend him and his company. 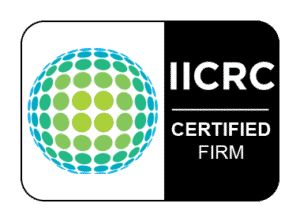 Excellent job and very professional company. Jerry and his guys arrived early and got done in a good amount of time. Thanks again! Jerry went above and beyond on every Carpet cleaning we've ever received. Anytime someone needs carpet cleaned, we recommend Stagecoach Steam Cleaning because we know Jerry will go above and beyond for you as well. Jerry was honest and upfront about the job, and because of that our carpets turned out magnificent!! A true professional, I would recommend his services to anyone! GREAT JOB!! The best around. Simple as that. Don't hesitate to give Jerry a call. You won't regret it.